Kalasha Film and Television Awards is returning for its 5th year, with a show that's going to be bigger and bolder than ever before. "Kalasha is going to be absolutely brilliant. It's going to the best award show Kenya has ever seen," says a confident Chris Foot, Chairman of the Board of Directors for the Kenyan Film Commission (KFC), the government body behind the award show. 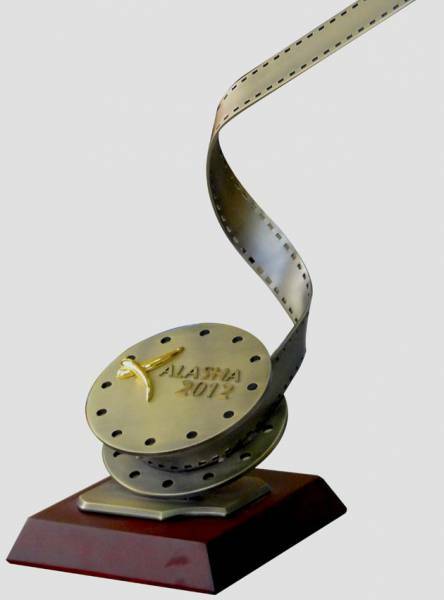 Kalasha Film and Television Awards is basically the Kenyan version of the Oscars and the Golden Globes Awards combined, where the industry can come together and praise the people who standout in the local industry. The winners are being judged by a nomination academy consisting of professionals appointed from Department of Film Services, Kenya Film Classification Board, Industry associations and Actors Guild. The public will also be able to vote for some of the categories. While we wait for the award show of the year, the Kenyan Film Commission is busy trying to push for an official government film policy, bringing together different stakeholders in industry. "United States, Nigeria and India are perhaps the only countries in the world where producers can make money on their film. In every other country filmmakers rely heavily on government subsidies to keep their film industry afloat. I'm not saying that the industry should rely only on government money, but we need to come up with a hybrid model," says Foot. With a total of 38 categories at the Kalashas, we are in for quite the show when the KFC rolls out the red carpet at the National Museum on the 28th of June 2014. The set-up will be theatre style only for the awardees and their respective plus one. All other invited guests will be watching the event live from screens set up at the cocktail lounge of the venue. A limited number of tickets will be sold for the after party event.